If you ever experienced living in a country where hot and moist weather is common, then you’re fully aware of the disastrous effects of humidity on your hair. It causes straight hair to frizz, perfect curls to drop and textured locks to be bushy. Luckily, you can now counteract these unfortunate results by simply keeping the following hair care tips in mind. Moisturize Your Locks. If you’re set to protect your strands against the effects of humid weather, then it’s important that you keep your hair properly moisturized all the time. Remember that dehydrated hair tends to absorb moisture quickly, so ensure that you perform some deep conditioning to restore and nourish your damaged tresses. Air Dry Your Hair. Although blow drying offers many benefits, it’s not an ideal tool to use when dealing with a humid weather. Directing dry hot air at your strands will only dehydrated them further, and surely, dry hair is the last thing you’d want to have. Wash With Cool Water. 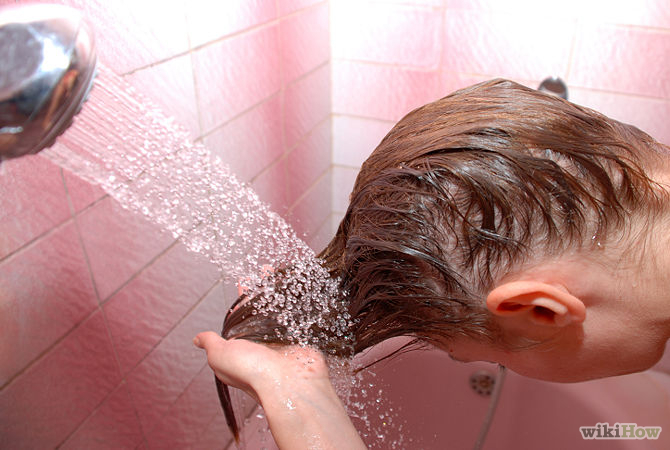 There’s no better way to battle a hot weather than a good splash of cold water, so once you’re done shampooing and conditioning your hair, rinse it off with a stream of cool water. This will help in closing down your hair’s cuticle and sealing up your scalp’s pores to keep the air’s moisture from getting in and wrecking your hairstyle. Apply Some Silicone Balm. When it comes to battling humidity, using a silicone-based hair balm can work wonders as it helps in sealing in your hair’s natural moisture while preventing the air’s dampness from interfering. Just make sure that you don’t overload your hair with it though, since too much silicone can make your strands look heavy and lifeless. Keep Your Hair Length. Although cutting off your hair can help you battle the sticky summer heat, it’s not the best strategy to counteract the effects of humidity. If you want to prevent unwanted hair puffiness, then keep your current hair length. Cutting your hair short will only make your strands curl up in the damp air, leaving you a messy and an unattractive look. Making your hair look healthy in a humid weather can be quite challenging, but by following these tips, you’ll surely be able to maintain the beauty of your strands even with the dry air.